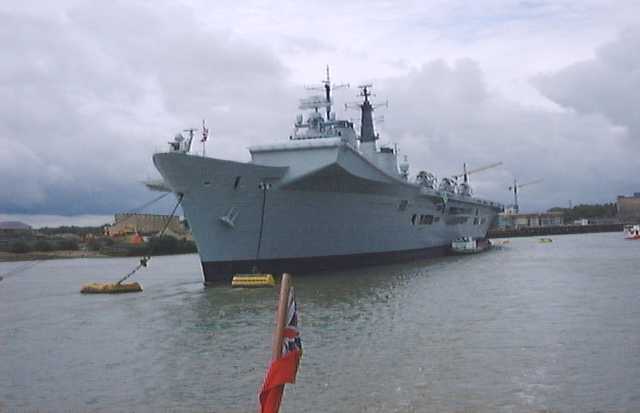 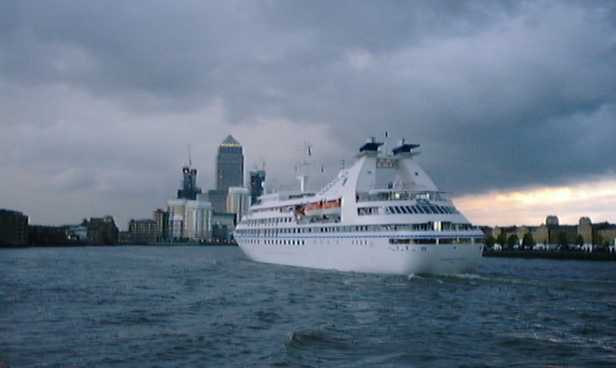 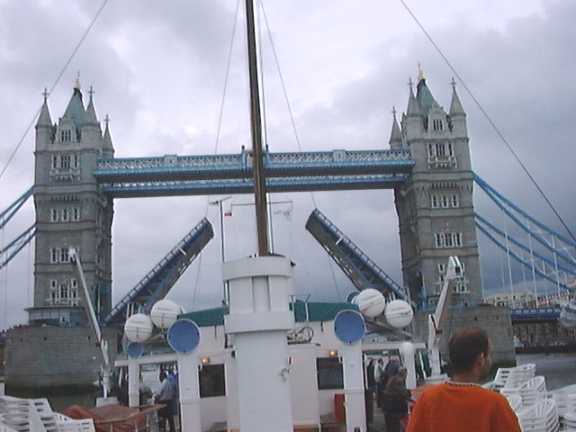 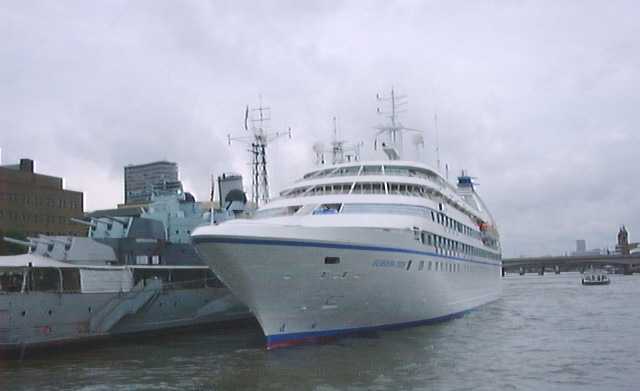 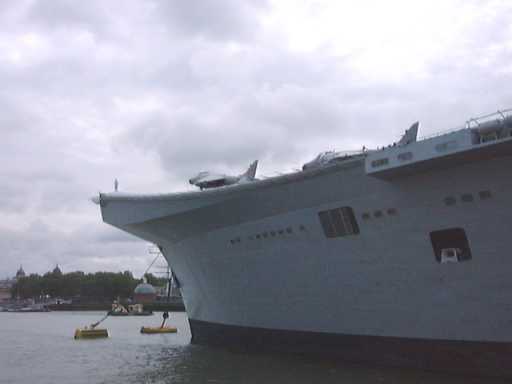 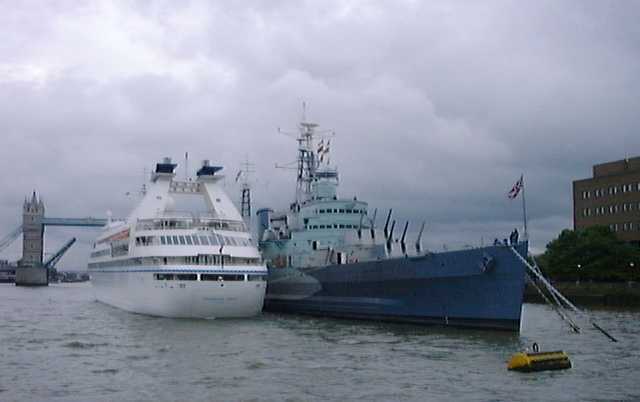 On the Sunday of Balmoral's last weekend on the Thames, she sailed down river from Tower Pier to Tilbury, Southend and then passed close to the Thames Towers. 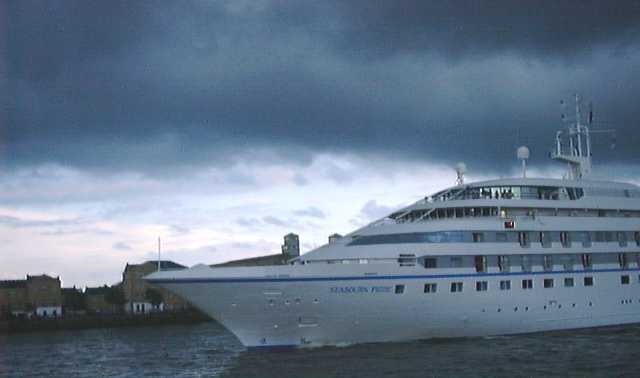 The passage upstream was punctuated by frequent heavy downpours. 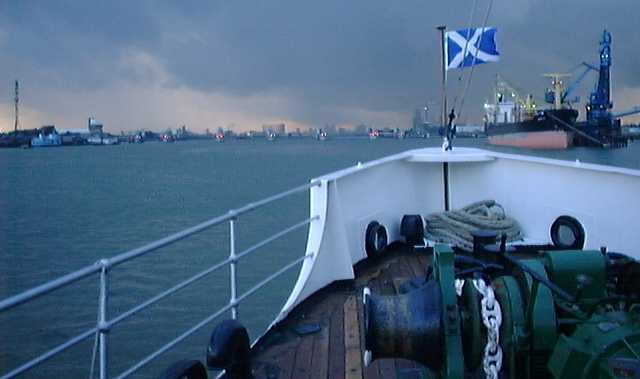 Approaching the Thames Barrier, the red and green traffic lights stand out although there is still over three hours to dusk. 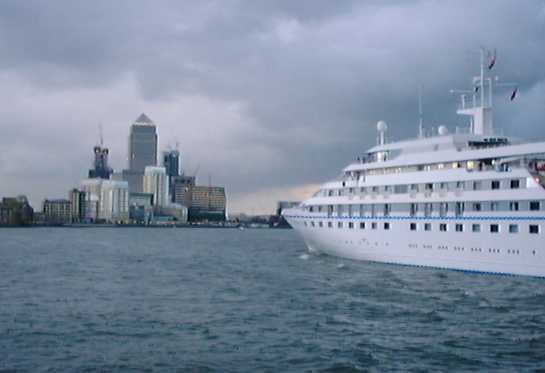 The freighter on the north (right hand) bank has brought sugar cane to Tate & Lyle's Silvertown Refinery. 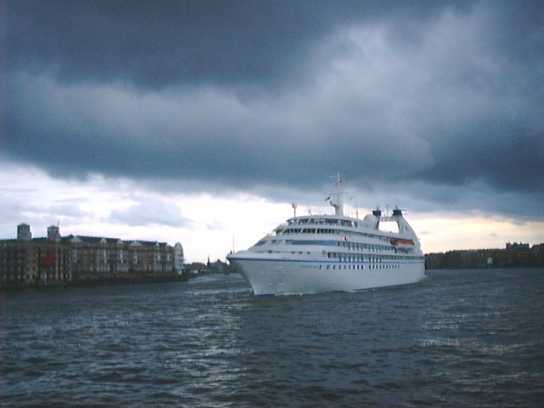 The Canary Wharf tower has been obscured by the rain clouds. 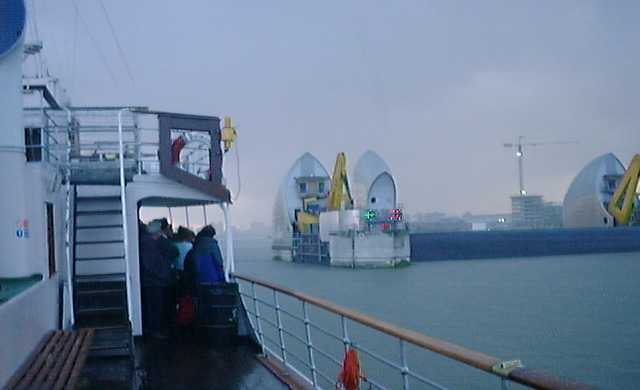 In torrential rain, Balmoral passes through the Barrier. 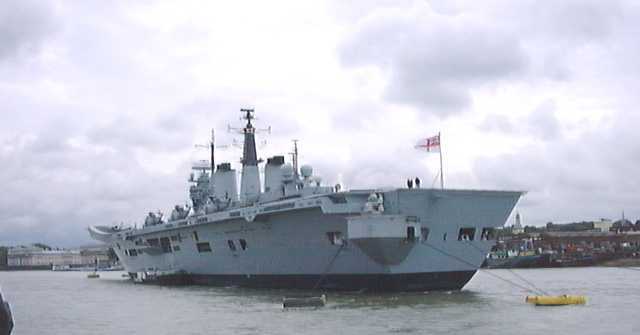 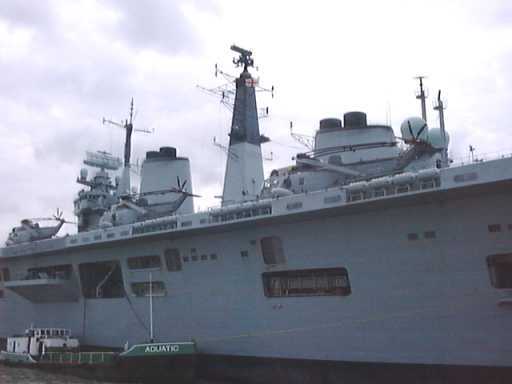 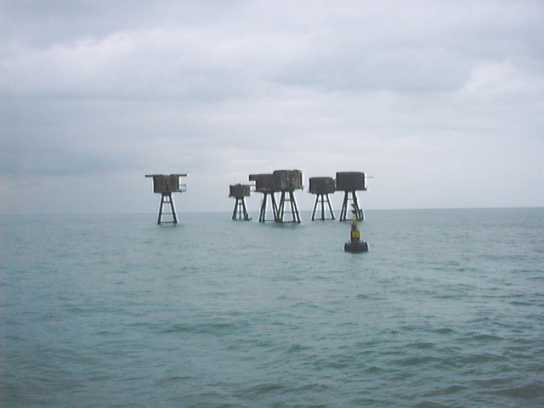 Note the next span is in the closed, or defence, position.